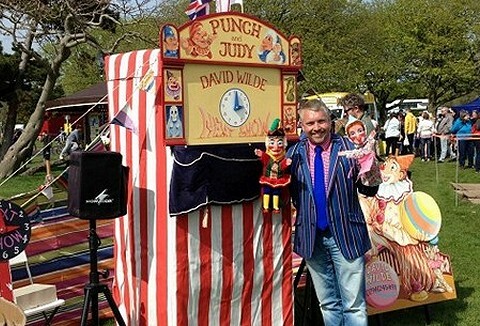 David Wilde can provide traditional Punch and Judy, children's magic and balloon display's for any type of event. Punch and Judy provided for Fetes, Parties, Shopping Malls and TV. Anywhere Anytime. Call or email now for booking enquiries and prices. Book Squirty Wirty for a stress free party! 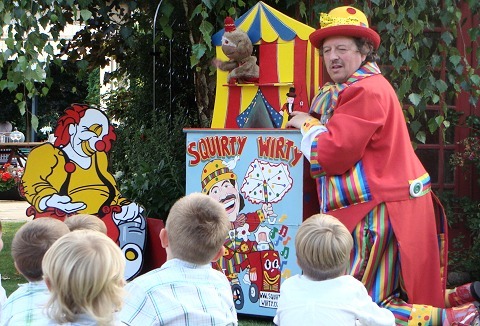 Professional and reliable children's entertainer. Fun comedy magic, puppets, balloons, live rabbit and dove, games & much more. Something for all children's occasions. Magic circle member , Equity & CRB approve. 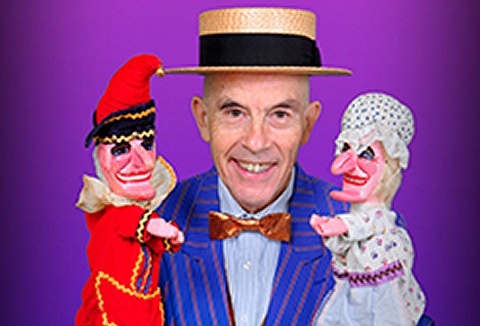 Whether you're organising a private, public or corporate family fun day event my Punch and Judy puppet show will capture the hearts and imagination of young and old alike. Fully self contained with puppet theatre, groundsheets for seating, pa and power.